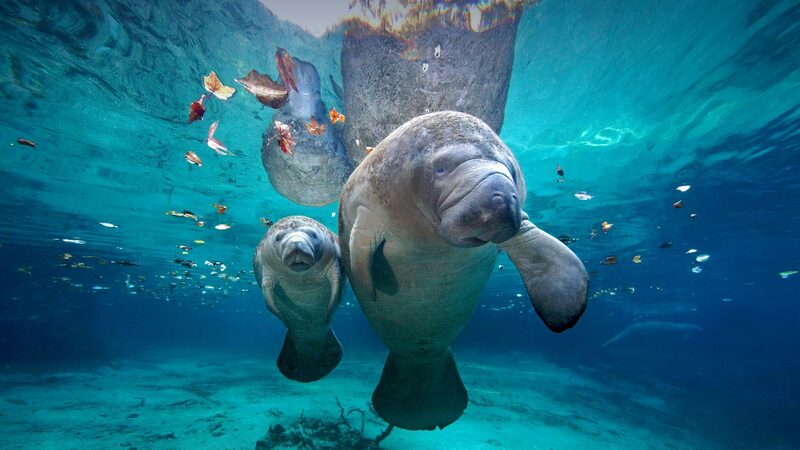 Our mama manatee and her calf are gliding through the crystal waters of Three Sisters Springs in Florida. We hope these two remind you of a mother’s love. 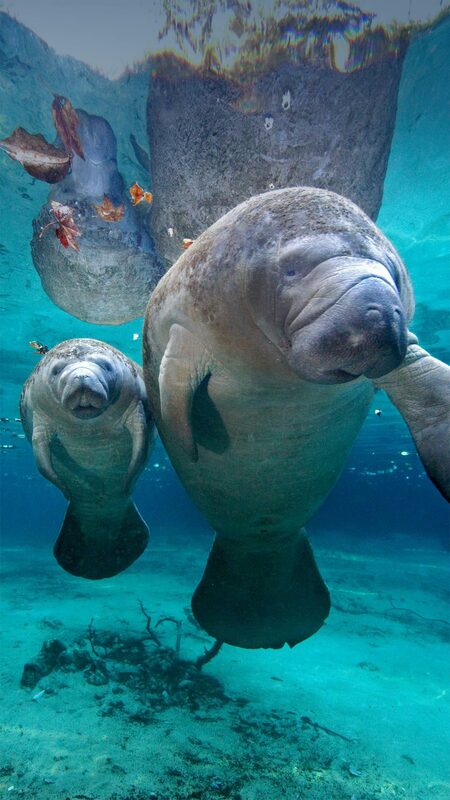 If you call home for Mother’s Day, here’s some trivia you can share to make her proud: in 2017, the Florida manatee was reclassified from endangered to threatened under the Endangered Species Act, a move that acknowledges improvements in manatee populations and habitat. Here in Florida, it’s estimated there about 6,000 manatees today.